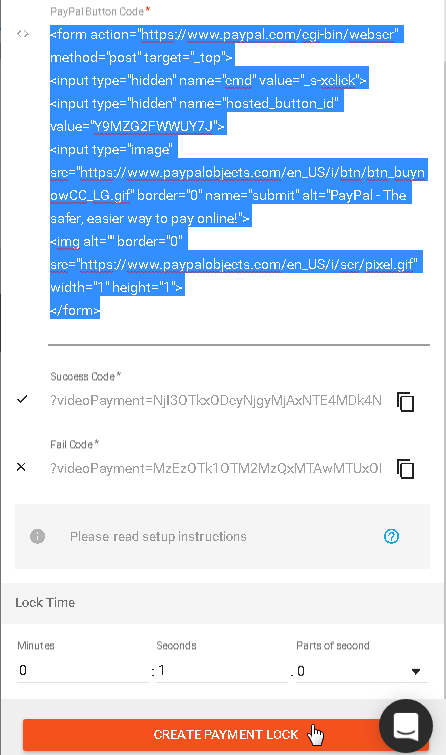 Pay Per View Gate allows you to lock your content with a unique PayPal button, locking your video for anyone who does not accept to pay a specified amount. Make sure you are logged into your PayPal account first, then click here - Create PayPal payment button and fill in the necessary information. 2. Switch to step 3 and make sure that you set URLs. This is really important as it determines where your viewers will be redirected in scenarios if they payed or if they did not. These codes are created from two things, first one is URL of the page where your video is embedded and the second is "success code" or "fail code". You can retrieve success/fail codes from the gate interface. 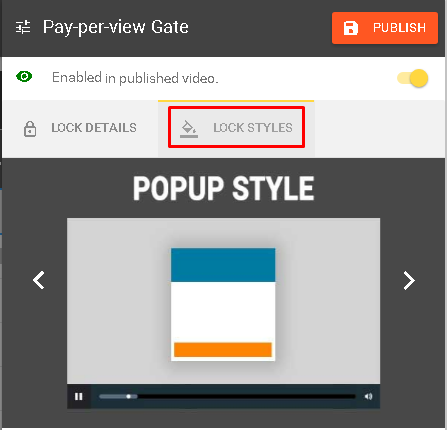 This gate is located in Marketing Tools under VIDEO GATES. To activate this feature just switch the toggle at the top, to the right position. 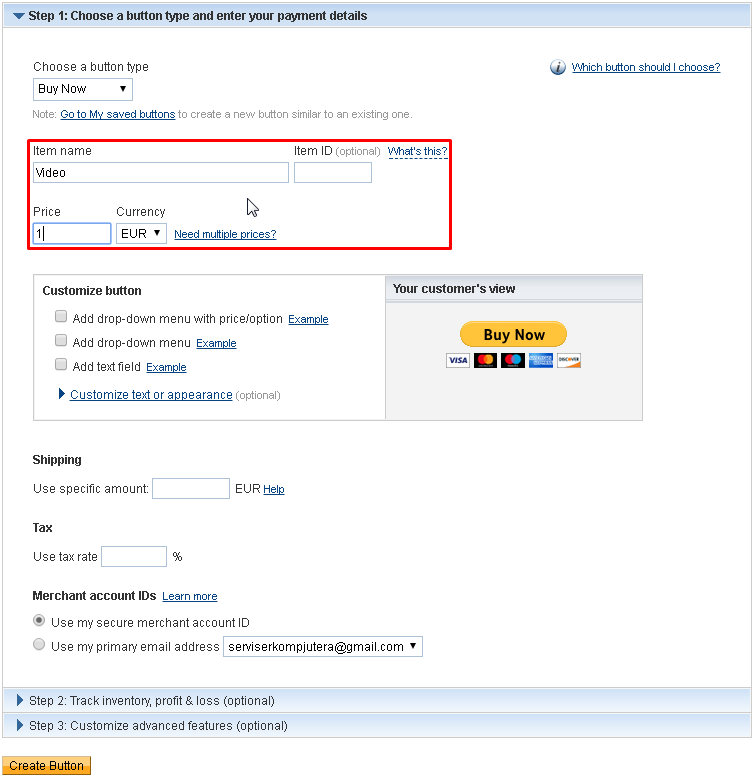 Just paste those two from vooPlayer Pay Per View Gate settings into the corresponding fields in PayPal step 3. 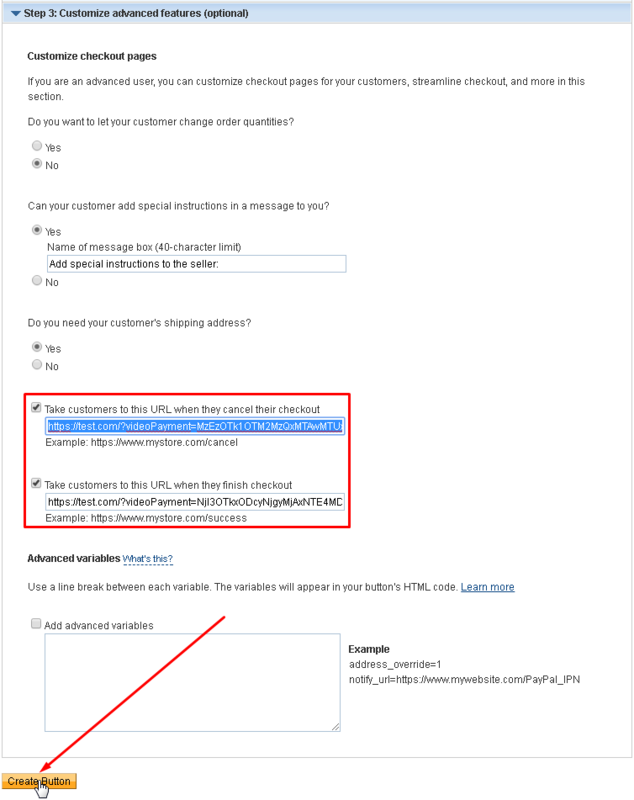 Once you are done with this, click the create button on the PayPal page. This will generate your button code. 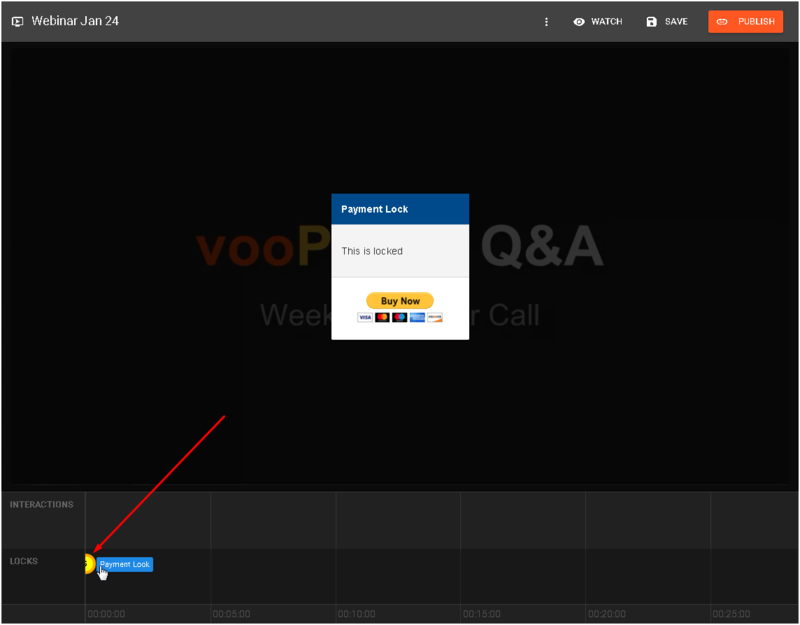 Once you have your button code, simply paste it into the PayPal Button Code field in vooPlayer, choose the desired time for displaying this gate and click on CREATE PAYMENT LOCK. Pay Per View Gate is successfully created, it will be marked on the video's timeline. 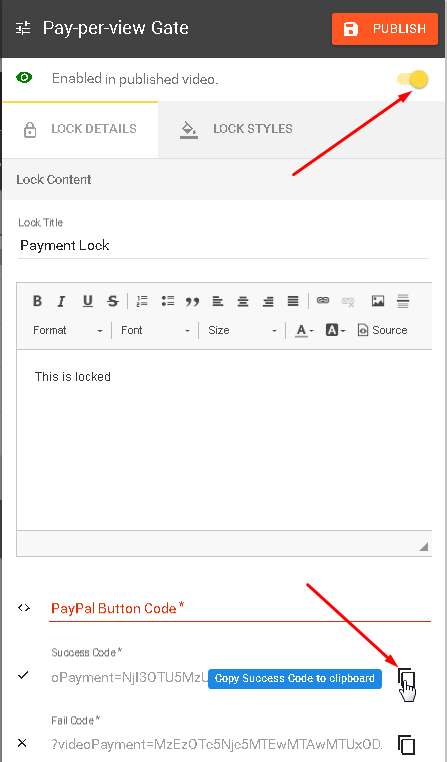 You can customize the popup style on the LOCK STYLES tab. If anything is left unclear, feel free to contact our support team.